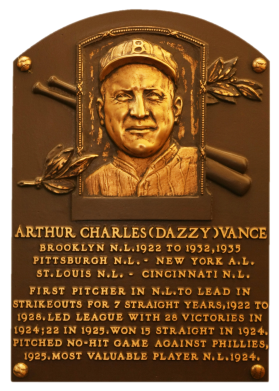 As a 31-year old rookie with Brooklyn in 1922, Vance won 18 games. Two years later his mark of 28-6 earned him league MVP honors. Armed with an incredible fastball, he led the majors in Ks each of his first seven seasons and paced the NL in ERA three times. Dazzy had a career 197-140 record, with a 3.24 ERA and 2,045 Ks. 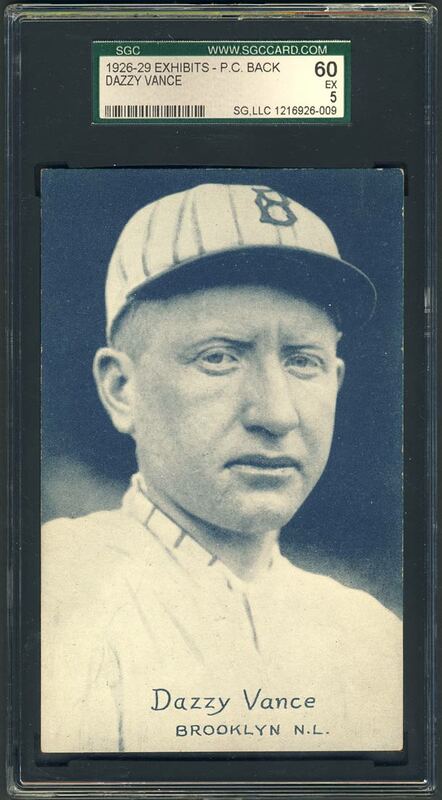 Comments: At my first National, in Atlantic City, NJ in 2003, I purchased a 1931 W517 SGC 60 card from seller Joceleyn Kaligis. In September, 2007 I replaced the card with a SGC 50 example of the 1926-9 Exhibits postcard. I also had a Travis Jackson representing the W517 issue; so the move would get me a new type card. In April, 2010 I upgraded to this SGC 60 example with an eBay auction win from seller S. Rice. 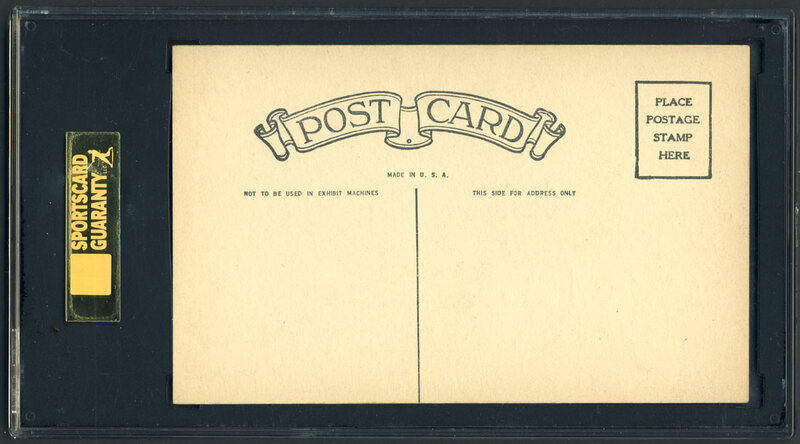 Description: Probably issued in the Philadelphia area, these cards can be found with either plain, or, more commonly, with a postcard back which includes the legend: "Not to be used in Exhibit machines." 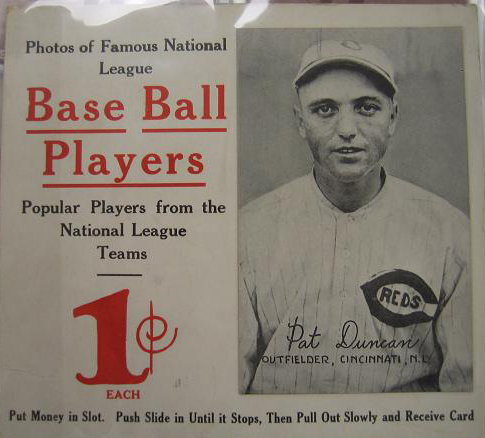 The fronts are borderless photos which generally have the player's name, team and league designation printed thereon, though several variations in style have been noted. Cards can be found printed in any one of several different colors, and some or all players can be found in more than one color. 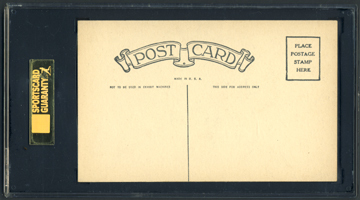 Card size is about 3-3/8" X 5-3/8".